If you can believe it, the Toyota Corolla has been around for over 50 years. 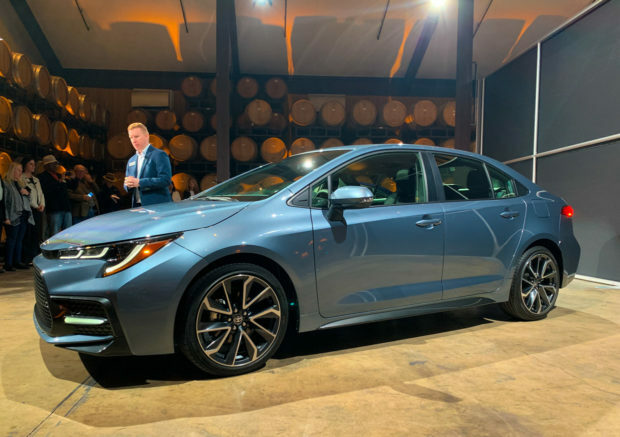 And to celebrate the subcompact sedan’s 5+ decades on this planet, Toyota has rolled out the 12th-generation Corolla. While in Carmel, California testing out the 2019 RAV4, I was able to check out the all-new 2020 Corolla up close and personal as a bonus. Riding on the TNGA platform, the new model gets significant improvements in chassis rigidity and overall ride quality, along with a proper multilink rear suspension. 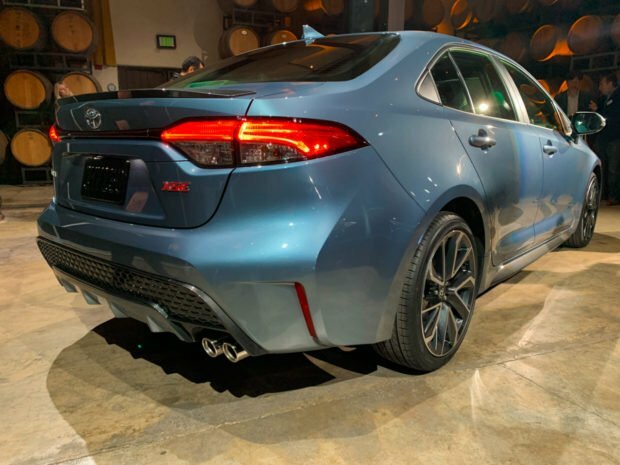 On looks alone, the new Corolla appears much more modern than the outgoing model, with a bold new style that’s more cohesive overall. 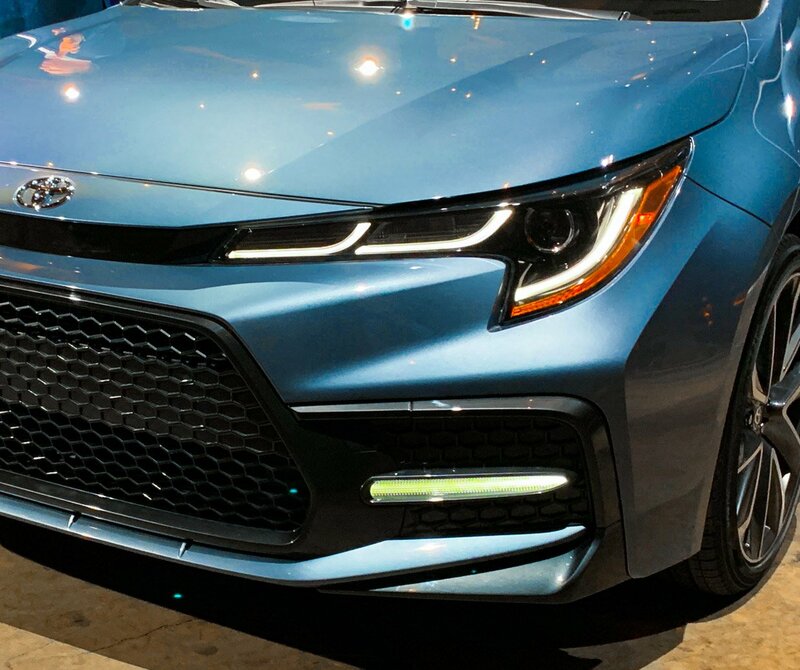 I especially like the newly redesigned LED headlamps and triple “J” accent lights, along with the extra splash of light in the lower fascia of the SE and XSE. I also got to see the more conservatively styled packaging, which will underpin the L, LE, and XLE Corolla variants. In these models, expect a front-end that’s more familiar to recent Toyota buyers, sharing cues from the Prius, Camry, and Corolla Hatch. 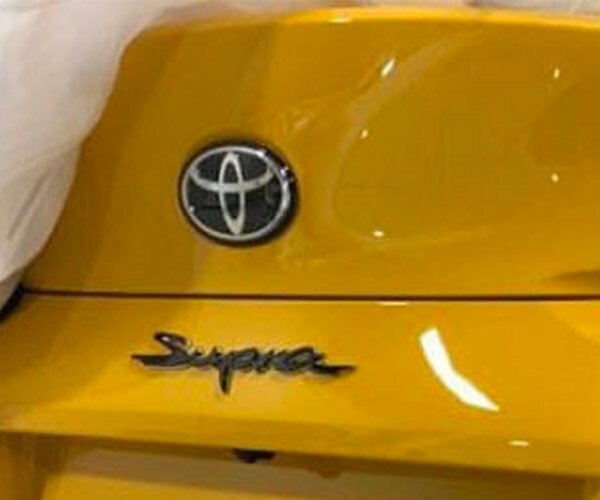 Personally I prefer the bold new look of the SE and XSE, which moves the Toyota badge back onto the hood, and conceals the front radar sensors in a narrow smoked plastic stripe beneath it, rather than in the logo. The new model measures the same length as before, but it’s got a 0.47″ wider front track, and a 0.87″ wider rear track, giving the car a more planted and athletic look overall. 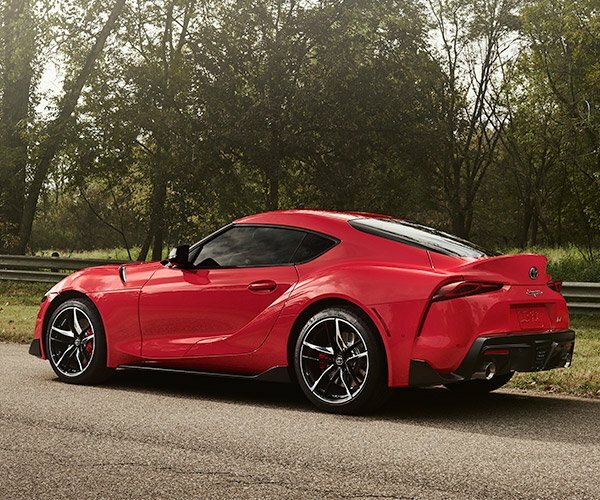 It’s also had its hood lowered by 1.4″ for increased visibility, and its center of gravity has been reduced by 0.39″ for better balance on the road. 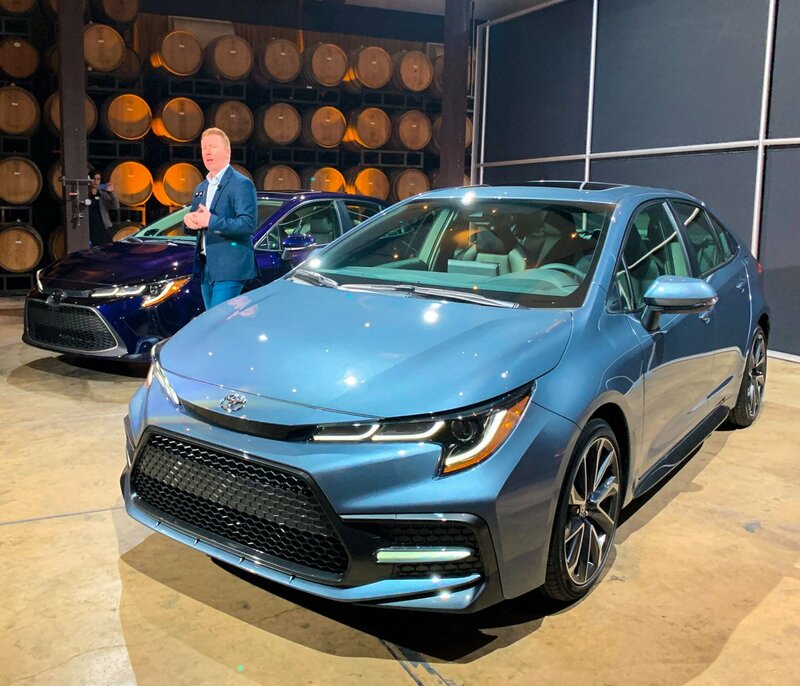 The new Corolla will come in three drivetrains, initially a 139 hp, 1.8-liter 4-cylinder and a a 169 hp, 2.0-liter 4-cylinder, followed by a soon-to-be revealed hybrid model, which is expected to offer excellent fuel economy, though is unknown whether or not it will offer a performance boost like the RAV4’s hybrid system does. SE and XSE buyers get the 2.0-liter engine, and can choose from a CVT with a fixed first gear, or a 6-speed manual transmission with rev-matching downshift, along with other features to make the 3-pedal setup more accessible to newbies. 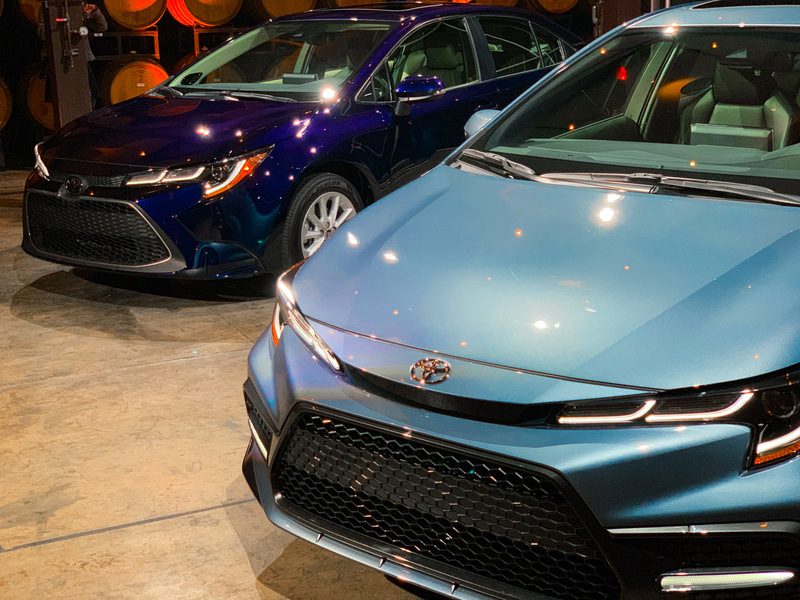 Like the new Corolla Hatchback and RAV4, the new Corolla will come standard with Toyota Safety Sense 2.0, which includes a plethora of safety and driving convenience features. 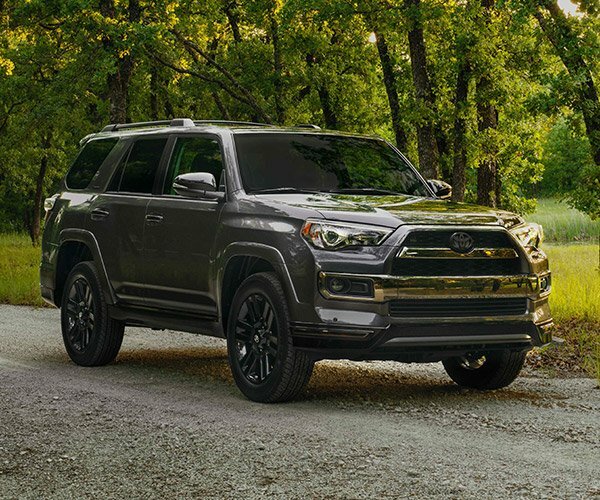 TSS 2.0 includes automatic emergency braking, full-speed adaptive cruise control on CVT models, lane-tracing assist, auto high beams, and other capabilities, which can add big bucks on even luxury brands. Blind spot monitors are available as well, either as an option or in some grades, it’s standard. 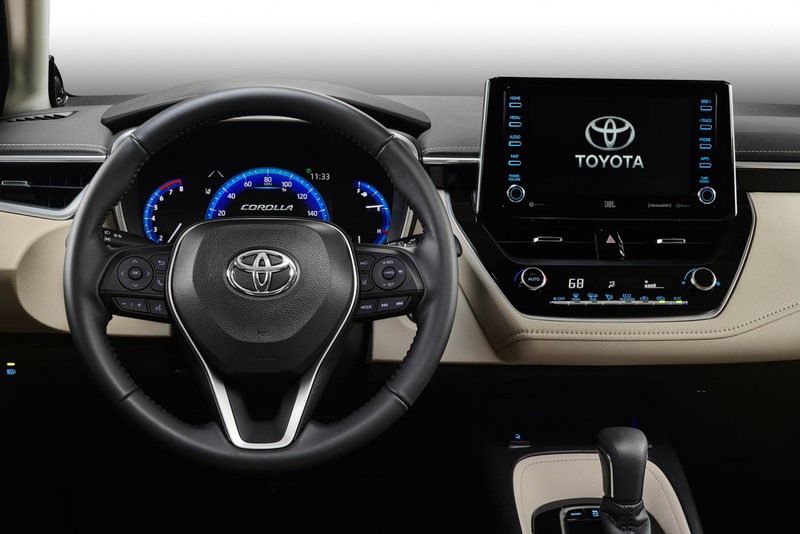 Every model from the LE and up gets an 8-inch touchscreen with built-in support for Apple CarPlay, and Amazon Alexa. A 7″ digital information display in the gauge cluster, and a 9-speaker, 800-watt JBL sound system are optional. Toyota has yet to announce pricing or fuel economy figures, but those should be forthcoming soon. We should also hear more about the first-ever Corolla hybrid at the LA Auto Show in a few weeks.